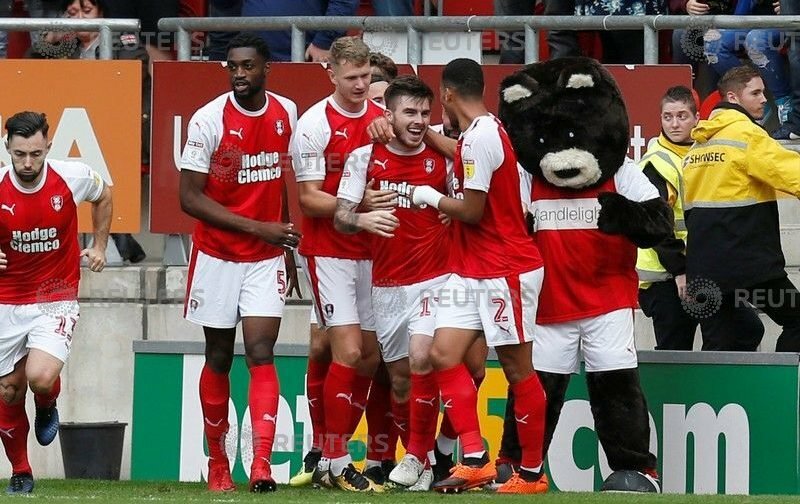 Rotherham United are in danger of losing midfielder Ryan Manning when the January window comes around. The twenty-two year old is on loan from fellow Championship side Queens Park Rangers and has become a fans’ favourite since he joined the Millers in August and has made ten appearances so far, scoring twice from the penalty spot. The contract between the two sides was a ‘season long loan’ but we all know that might not be the case and the Millers are worried that Rangers’ boss Steve McClaren wants the midfielder back. If this should be the case he will be sorely missed by Rotherham United who went into the international break in nineteenth place in the Championship while Rangers are just one place and three points better off so, I’m guessing, they might think they need Ryan Manning back in their side. It was the same last season when we thought Kieffer Moore was at the New York Stadium for the duration but was recalled in January by his parent club only to be sold on to Barnsley. I really do think it’s about time these loan deals were sorted out and if the original deal is for ‘a season long loan’ then ‘a season long loan’ it should be.